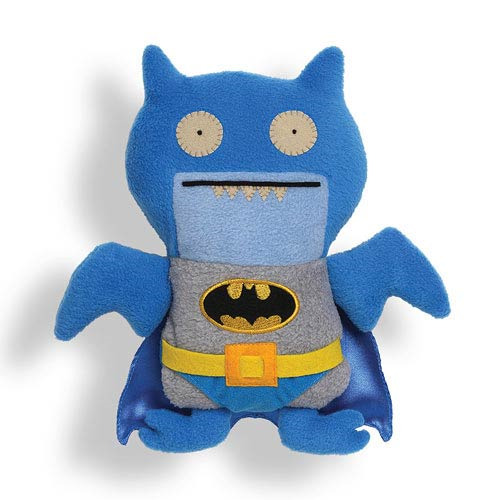 Uglydoll and DC Comics combine forces to bring you Ice Bat as Batman in his blue outfit. Adorably ugly Ice Bat is dressed in the Caped Crusader's classic gray-and-blue costume, with the Batman symbol prominently displayed on his chest as he swoops through the night, disposing of evil villains with his ever-so cute look! The Uglydoll DC Comics Ice Bat Blue Batman Plush measures approximately 10 1/2-inches tall. Ages 1 and up.